Plato assigned the Hexahedron to the cube for its stability. 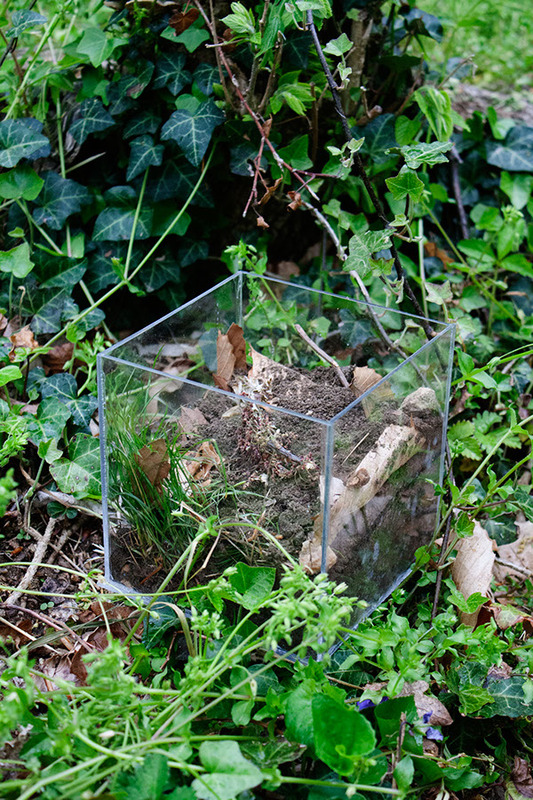 A cube is very stable and felt the cube would best represent the stability of our earth. There are three Platonic solids consisted of equilateral triangles, the Icosahedron, the Tetrahedron, and Octahedron. Of the elements Fire, Water and Air react most to one another, there fore he concluded that these atoms must be similar in shape, so he assigned these three elements to the three platonic solids that all had one thing in common, their equilateral triangles. 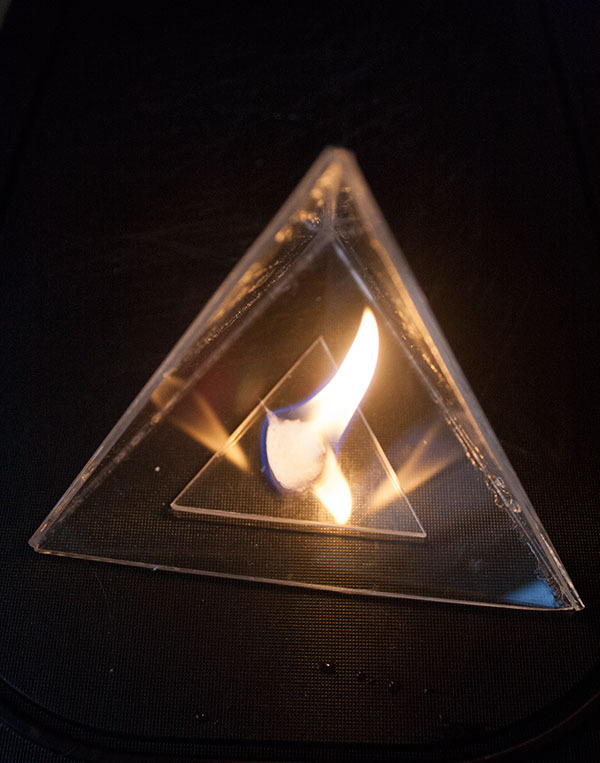 Plato chose to represent the fire atom with a tetrahedron because he saw similarities in the sharp points of the tetrahedron and the sting of fire. He also toook into account that fire atoms were the lightest atoms and the tetrahedron is the polyhedron with the least number of sides. 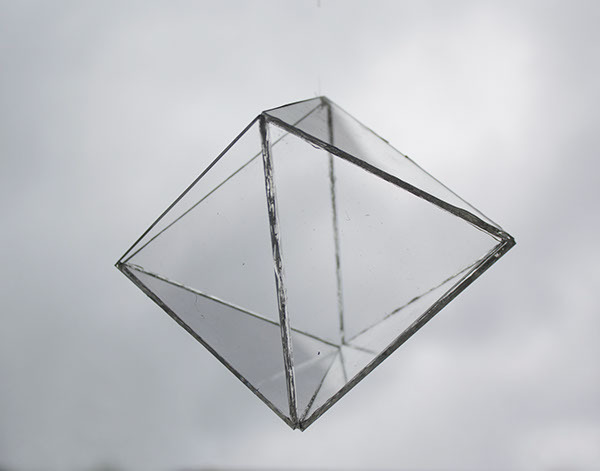 Plato choose the Octahedron to represent the atom Air. Fire, Air, and Water react the most with one another their atoms must be similar in shape. Tetrahedrons, Octahedrons, and Icosahedrons are all composed of equilateral triangles. Plato picked the Ocathedron specifically because it was the second lightest of the three atoms and the Octahedron has the second least number of sides. Plato believed that because all objects are three-dimensional that the atoms combined to make these objects must be in the shape of regular polyhedrons. Later is was determined there where only five regular polyhedrons, The Platonic Solids. Plato thought that all things were made of the five elements. Fire. Earth. Air. Water. Cosmos. and therefore they should be represented by one of the five Platonic Solids. 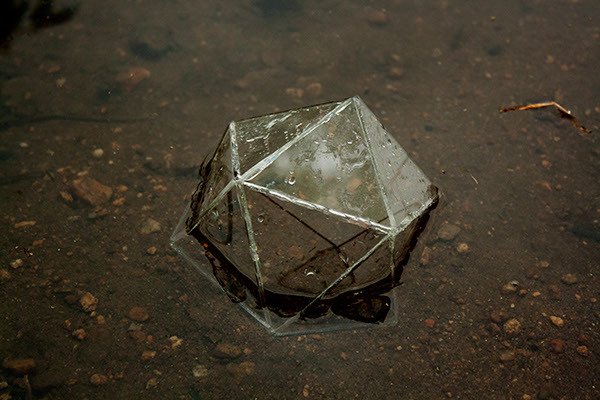 I recreated these shapes out of Plexiglass, and photographed the Polyhedron with its specific element as a way to physically represent these ideas, and show similarities of the elements and their Platonic Solid. Plato believed that because all objects are three-dimensional that the atoms combined to make these objects must be in the shape of regular polyhedrons. Later is was determined there where only five regular polyhedrons, The Platonic Solids. Plato thought that all things were made of the five elements. Fire. Earth. Air. Water. Cosmos. and therefore they should be represented by one of the five Platonic Solids. I recreated these shapes out of Plexiglass, and photographed the Polyhedron with its specific element as a way to physically represent these ideas, and show similarities of the elements and their Platonic Solid.